MillerCoors reaffirmed its commitment to leverage diversity to its competitive advantage through a new Economic Partnership Agreement (EPA) with the National Black Economic Development Coalition (NBEDC). The EPA creates a partnership between the two organizations to enhance economic opportunities for African Americans through increased participation in key areas including: leadership and workforce; marketing and advertising spending; community investment; distributors, retailers and procurement. MillerCoors executives Leo Kiely, CEO, and Cornell Boggs, chief responsibility and ethics officer, joined NBEDC Chairman Stanley Washington, and representatives of several NBEDC member organizations (including the National Association for the Advancement of Colored People (NAACP), Rainbow- PUSH Coalition, the National Newspaper Publishers’ Association, California Package Store and Tavern Owners Associations) to sign the fouryear agreement during a special signing ceremony at the Park Hyatt in downtown Chicago. Kiely noted that diversity is crucial MillerCoors vision of becoming America’s best beer company. 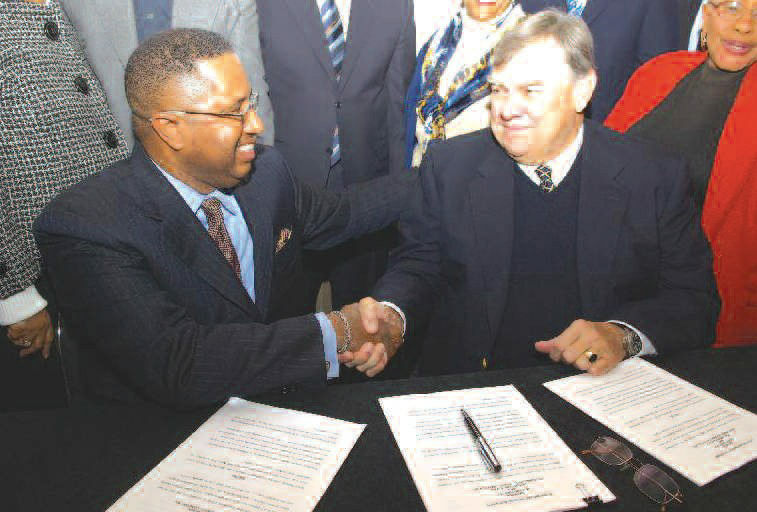 “This Economic Partnership Agreement is part of our commitment to leverage diversity and inclusion at every level within our organization and in everything we do,” he said.”The signing of this Agreement illustrates a renewed commitment on behalf of MillerCoors and the NBEDC to continue a beneficial partnership that helps increase involvement of African Americans in business,” said NBEDC Chairman Stanley Washington. Coors Brewing Company has had an economic partnership with NBEDC since 1984.